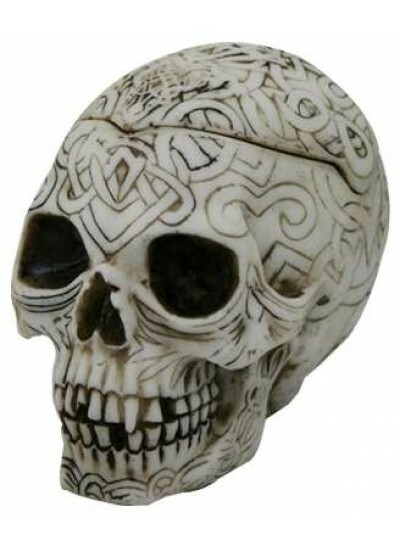 This unique small skull box has a removable lid to reveal a compartment beneath. 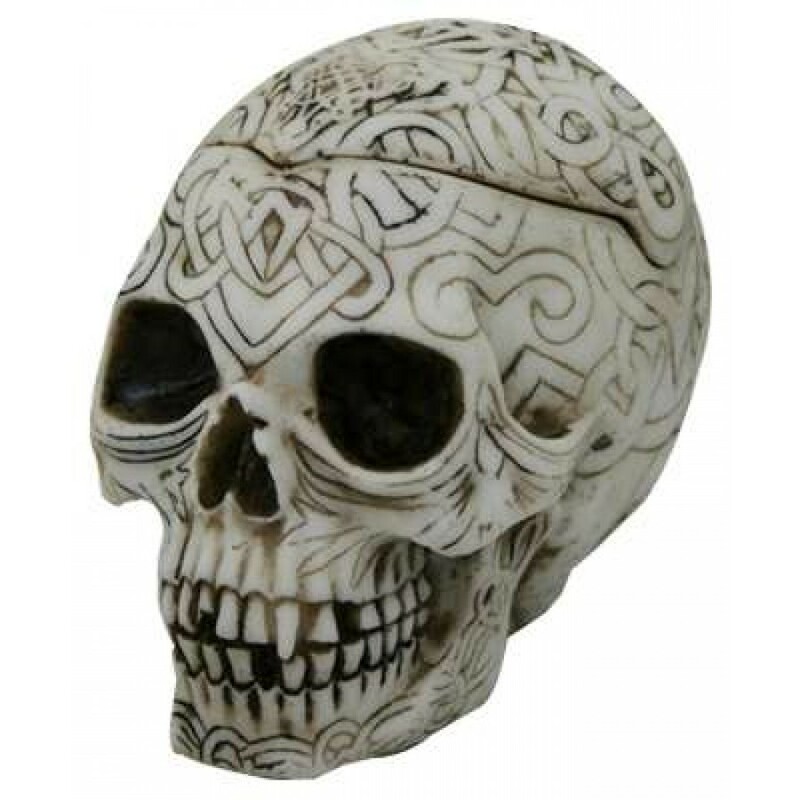 Cold cast resin, finely detailed skull is 4 1/2 inches high with lid and Celtic knot designs. Hand painted detail. Item Number: PT-9943 | Approximate Size (Inches): 3.00 wide x 3.00 deep x 4.50 high | Approximate Shipping Weight: 1.50 lbs.